Ever since I played (a term I use, happily, loosely) 2015’s Her Story, I’ve been keeping an eye on what its creator, Sam Barlow, is up to. He joined Interlude in 2016; the company is now named Eko and #WarGames is its first “big” release. #WarGames is a remake of the 1983 film WarGames. In the original, a teenager accidentally begins World War III through a computer simulation; Barlow’s version involved a team of hackers and activists trying to create — or maybe force? — world peace. On Twitter Barlow stated that #WarGames is closer to a television show than a game. Players/viewers choose which scenes to watch and which storylines to follow, creating experiences nearly unique to each viewer. It will be released on March 14 via Steam, Vudu.com, HelloEko.com, and the Eko iOS app (which I can’t seem to find here in Canada, boo). Remember Myst? Probably not, if you’re under 30 years of age. For those of us that are older, however, Myst was something special back in the day: a mesmerising visual tour-de-force and an adventure game that the entire family would get into, well before “casual gaming” was really a thing. Of course, Myst also had a habit of sending players batty with its ridiculous logic, but back in the day we just thought of that as “challenge." The teaser trailer, above, isn’t giving much away, but Cyan’s games are fairly predictable in the way it makes games, and its previous title, Obduction, was pretty decent in its own right. This one’s genuinely one worth looking forward to, though whether there’s a non VR mode remains to be seen. Dark Souls Remastered has been set for a May release for some time now, but now it will be competing with one of the most anticipated titles of the past three years, Detroit: Become Human. 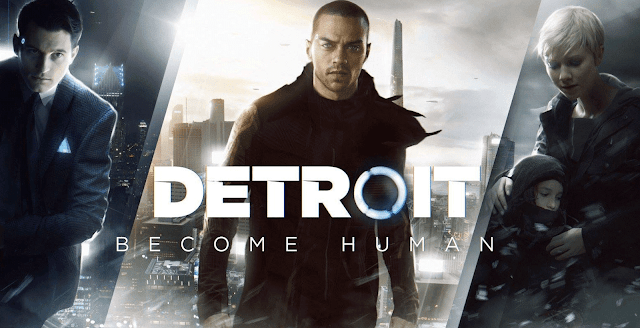 Developer Quantic Dream has announced that Detroit: Become Human will be released on the same day as Dark Souls Remastered: May 25. The game is set in a dystopian near-future and tells the story of three android who begin to feel emotions. Once confronted with the truth (and violence) of society, each android will have to make moral choices. The developer claims that even small choices will impact the course of the game. There has been some controversy over Quantic Dream and Detroit: Become Human. The developer has been charged with workplace harassment charges, and after the PSX trailer from last year it’s been under fire for its portrayal of domestic abuse — although I believe it’s actually being represented reasonably, any game with scenes of this nature is sure to attract critics. World Neverland: Daily Life in the Elnea Kingdom sounds really good to us! March 15 brings the Nintendo Switch a new simulation/ RPG to play. Billed as a sandbox game by developer, Althi, the game will release simultaneously in North America, Australia/ New Zealand, Europe and Japan. It basically sounds like a riff on that brilliant 3DS live-em-up, Fantasy Life, from the description of the press release: “Enjoy your life in an open world as you see fit. Explore, fight, harvest, love, marry, parent — a truly laid-back gaming experience that is sure to bring a smile to your face. A living and breathing fantastical world awaits you within a game console.” Interestingly, though, this is actually the latest in a very long-running series. It’s been around in Japan since 1997. It’s just that this is the first time that it’s been released in English. Apparently the way the game builds its virtual world is even patented, so while it might sound like Fantasy Life, chances are that it’ll offer something much different. Fingers crossed this turns out to be great.